Some of the most famous world hits came from sampling old records. Great producers like Kanye West, DJ Premier, and Dr. Dre are all known for their crazy sampling skills. Taking samples straight from a vinyl record can be a great way to add some retro melodies to your tunes. Of course, you could always sample regular mp3s, but for the really authentic sounds, vinyl is the way to go. Choosing the right turntable for sampling can be quite challenging, especially if you don’t know what you’re looking for. In this article, I’ll be going over my favorite models, as well as the most important things to look for when buying a turntable for sampling. Here is my ultimate list of the best turntables if you want to start sampling! 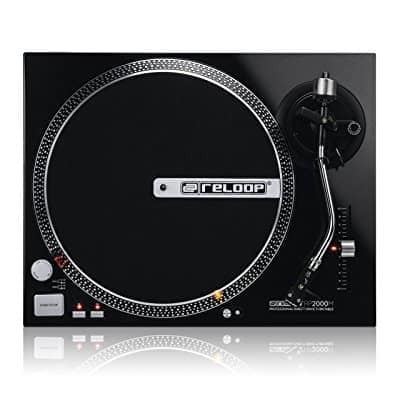 The LP60 is one of the most common and widely used turntables in the market, and the LP60-USB adds a USB output. This allows you to easily connect it to your PC. It comes with a phono preamp, so when you connect it to your computer, the sound will be properly RIAA equalized. 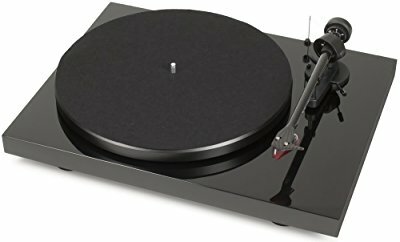 The LP60 is much easier to use than many other turntables. After setting it up, you can just put the record on the platter, press the start button, and the LP60 takes care of everything else. There is no need for you to move the tonearm, as the LP60 will do it on its own before it plays the record, and after the record is finished. Although it may take some time to set up, the AT-LP60 is very easy to use and connect with other devices. 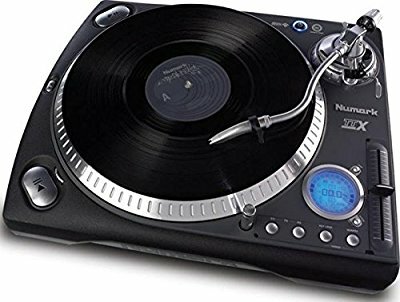 That makes it great for sampling, but it’s not the best turntable for scratching. If scratching is a big deal to you, you should be looking for some other options. Cosmetically speaking, this turntable might be the prettiest on the list with its glossy, minimalist look. However, don’t be fooled by its appearance – the Debut Carbon DC comes with an abundance of features. You get no noise from its decoupled motor during playback, which translates to a rich sound and consistent speeds. It also comes with a heavy steel platter, which promotes balance, increases tonearm stability and limits skipping. The most interesting thing about the DC is its single-piece carbon tonearm. Besides looking awesome, it also helps fight resonance with its stiff construction. 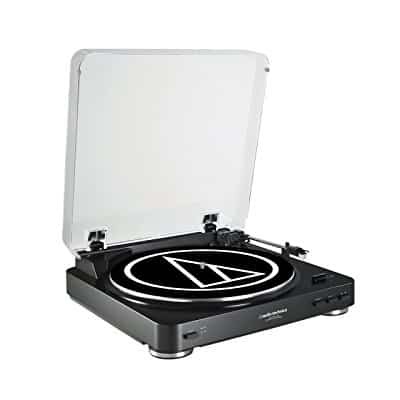 Easy to set up and use, this turntable can be a great choice for beginners. Other than the standard black and silver, it comes in a wide range of colors, so you can display your creative side. Pioneer – a company well known for its important role in the digital revolution. With this turntable, Pioneer has yet again pushed the limits of analog products to suit the standards of a digital world. The signal path in the PLX-1000 is pure analog, which gives you true sound reproduction and amazing quality. 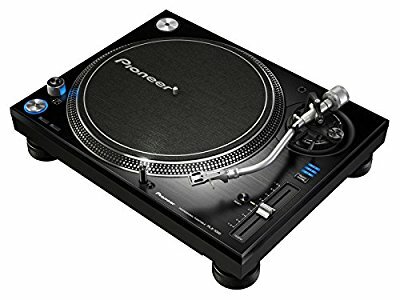 When you look at its design, it’s obvious that Pioneer based their PLX-1000 on the famous Technics SL-1200 – the industry standard DJ deck. The geometry of the tonearm and pitch range both feel very similar to the 1200. While some people may be looking for more features from their turntables, the PLX-1000 gives you a very old school experience. If that’s something you’re looking for, this can be a great substitute for the discontinued 1200. Relative newcomers to the DJ turntable market, Reloop have already started turning heads for their innovative design and sound quality. With the RP 2000, precision is the name of the game – it has a start mechanism that gives you perfect accuracy for sampling. The first thing you notice about the RP 2000 is its sturdy, metal design. From a purely aesthetic standpoint, it’s nothing to get excited about. However, its purpose is not to look cute but to offer you the best performance. It seems that this turntable achieves just that, with strong feet that almost completely eliminate vibrations. Additionally, this turntable has an electric motor brake that gives you complete control over your sound. Although it’s not breathtaking, and certainly not a premium product, the RP 2000 is a great tool for the money. If you’re just getting into sampling, this could be a great choice. 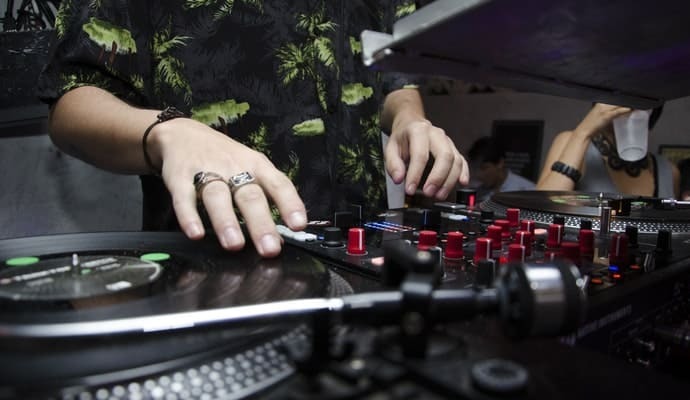 While Numark may be known for low budget DJ controllers, their turntables are very different. The TTX is a great proof of that, with a rich history in the DJ industry. The revolutionary thing about the TTX is its tonearm assembly. The aluminum tonearm can be used with S-shaped and straight tubes, both are included. The S-shaped tube enables you to mix and blend track, while the straight tube is great for battling and scratching. Just flip the deck by 90 degrees to switch between the two. Other than that, the TTX sports a big neon display, which means that pitch, speed, BPM are all very visible. The pitch control also gives you a wide range of control on how slow or fast you play a record, making this a great turntable for sampling tracks. Stanton is a name that is getting more and more attention in the world of professional DJs, and for a good reason. The STR8.150 is an upper-tier turntable, which has proven to be very durable. The most interesting feature of the STR8.150 is perhaps the record speed. It can play records at 33, 45 and 78. If you’re a record lover, you will certainly appreciate the 78 addition, since it gives you the opportunity to play those extremely rare cuts. It also has a very powerful motor, which provides you with consistent speeds and stability. This turntable features an additional S/PDIF output that can be connected directly to a sound card, which can be precious for all modern DJs. It also supports most modern turntable speakers. 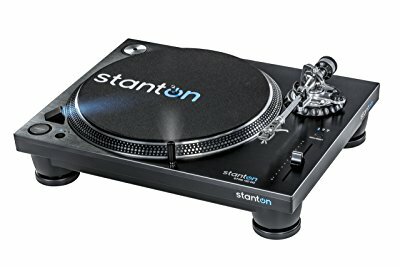 Along with the great sound quality, the Stanton STR8.150 gives you functions that just aren’t possible with analog turntables. One of the key differences between turntables is the difference between direct-drive and belt-drive ones. Each of them has their own advantages, so you need to have these in mind when choosing a turntable. Direct-drive turntables have their motor located beneath the platter, rotating it directly. They usually have higher torque, which means faster start-up and less vulnerability to force. This is the reason why many DJs use them, as they are ideal for mixing and scratching. However, because the platter is attached to the motor, the vibrations are easily felt, which affects the sound quality. This is where belt-drive turntables come in - their motor is on the side, with a thin belt around it. That belt turns the platter and gives you a cleaner sound. The downside is lower torque, which can affect speed accuracy. Hence, belt-drive turntables are used instead of direct-drive ones, in cases where sound-quality matters more than anything else. If you are looking to use your sample to create a beat, you should look for turntables that are PC-compatible. Sound quality is the most important thing, so look for turntables that retain the best quality when converting vinyl into mp3 formats. Additionally, many people prefer to change the pitch on their mixer, as opposed to their deck. 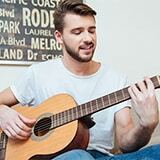 However, having an on-board pitch lock or pitch slider can help you fine tune the sound from the source. Look for turntables with these features if you like to play around with pitches. As with any other audio equipment, there is no one definite answer when it comes to choosing the ideal turntable. Your budget, mixing style and intended use of the deck should guide you towards making the right decision. Try different ‘tables, various settings and brands. It’s much easier to decide which model to buy if you know what you want from your turntable.